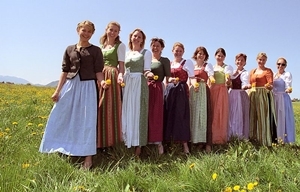 Traditional German dress for women commonly known as dirndl. It's probably means a young lady or a girl. Take your skin color clay, knead well. Start with rolling a ball shape with your palm and then a cone shape to about 1 inch height. Blouse: roll white clay to a pipe shape and use your rolling pin to flatten it, make a frill and pierce the edge with needle to make it look like lace and then wrap around the top part of the body. Skirt: take your red color clay. Again, roll it to pipe shape and flatten it with rolling pin. Make sure that the width is enough to cover the lower part of the body. 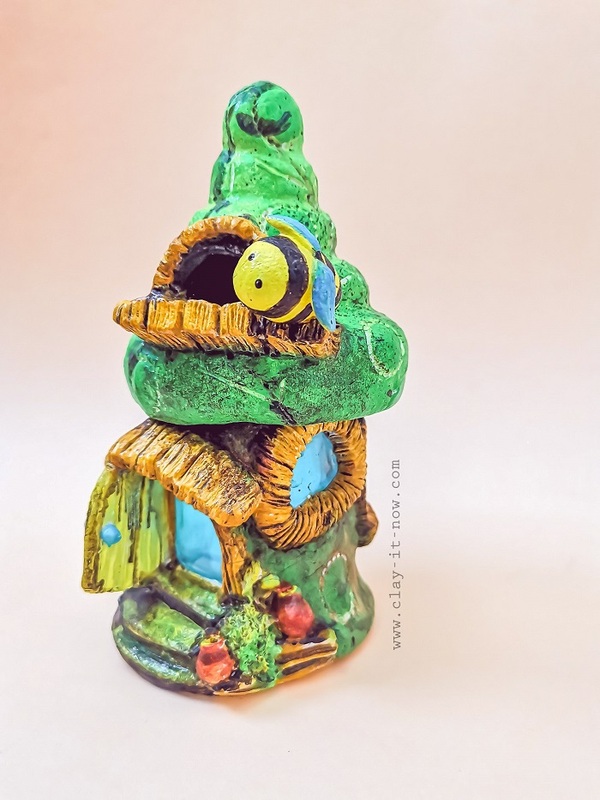 Take a light blue clay or other clay color as an accent. Roll it to a thin pipe or spaghetti shape and overlay close to the lower edge of the skirt and flatten it with your rolling pin. Wrap it around the lower part of the body, add glue to secure it. Bodice or vest: roll black clay and flatten it. Make the length about 3/4 of the top body part and the height shorter than the blouse. Roll small pipe or spaghetti shape for the shoulder strap and the cross shape cord in front of the body. Apron: roll white clay to a pipe shape and flatten it. Make a frill and attach it to the front of the skirt and finish up with a white belt. Bodice or vest: roll black clay and flatten it. Make the length about 3/4 of the top body part and the height shorter than the blouse. Roll small pipe or spaghetti shape for the shoulder strap and the cross shape cord in front of the body. Apron: roll white clay to a pipe shape and flatten it. Make a frill and attach it to the front of the skirt and finish up with a white belt. Roll two cone shape of white clay for the arm and attach it to the side of the body. Make the head of the figurine with similar method to other mini figurine. When it's dry, paint the eyes. If you draw the eyes in different shape you'll create a different expression. So, chose the shape you like. 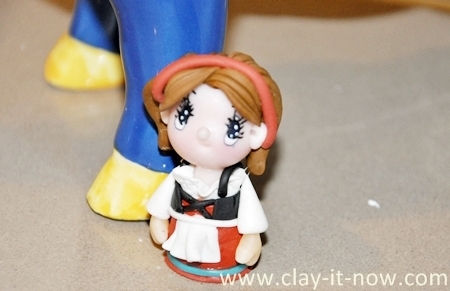 Attach the head to the body and you have a mini figurine with traditional German dress now.